Apple is reportedly planning to refresh its entire MacBook lineup at next month's Worldwide Developers Conference. According to Bloomberg, Apple is planning three new laptops with latest Intel processors to compete with Microsoft's Surface Laptop and compensate for declining iPad sales. According to people familiar with the development, the Cupertino-based company is considering updated versions of its 12-inch MacBook, 13-inch MacBook Air and recently launched MacBook Pro. Apple last updated the 12-inch MacBook with a rose gold variant in 2016, while the MacBook Air stays untouched since 2015. Apple refreshed its MacBook Pro range with a slimmer design, USB-C ports and a new Touch Bar in October last year. Bloomberg says Apple's 2016 MacBook Pro will get Intel's faster Kaby Lake processors, while the 12-inch MacBook will also be refreshed with a faster chip. On the other hand, Apple's cheapest laptop - the 13-inch MacBook Air - is also being considered for refresh despite the fact that Apple seems to be replacing the 13-inch MacBook Air with the non-Touch Bar variant of its 13-inch MacBook Pro. 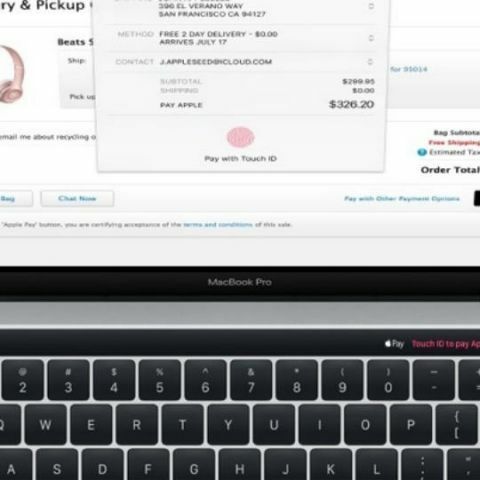 Since the launch of the 2016 MacBook Pro, Apple has been criticised by fans for neglecting professional users. The company executives even went on record to address concerns by announcing that it's working on new modular Mac Pro and updated desktop computers for its core audience. Apple is also developing its own chipset for handling low-power tasks on its Mac devices, but it is not expected to become available until later this year. Apple's move to refresh the 12-inch MacBook and 13-inch MacBook Pro might be primarily aimed at countering Microsoft's recent announcement, the Surface Laptop, which was announced early this month. Since 2013, Apple has limited its developer conference to software products, but this year, the focus seems to be back on hardware products. The company is also rumoured to introduce a 10.5-inch iPad Pro aimed at commercial users and a Siri speaker to compete with the Amazon Echo and Google Home. While most of these hardware products are rumours, the company is confirmed to announce updates to its iOS, watchOS, tvOS and macOS operating systems.